If there is one place in Melbourne that has stock of the most impressive collection of stunning engagement rings, it is undoubtedly GN Designer Jewellers. We believe in fulfilling each of our customer’s dream of owning a ring they had always wished for. This motive has helped us carve out a place in the field of custom made jewellery. What sets us apart is our unrelenting endeavor to comprehend what precisely our customer is looking for and custom design a ring with all their accurate descriptions in mind. We meticulously work together to give shape and bring alive their dream ring in supreme quality and in the most affordable price range. No matter what you are looking for, you will be surprised to see our exceptional craftsmanship that will set your ring apart from all the others. Nothing can best express your love and sentiments to your better half than a customized engagement ring. So if you are thinking of proposing her soon, pour out your heart in the form of a customized ring that will be an embodiment of uniqueness in every respect. GN Designer Jewellers will be immensely pleased to help you in every possible way to get you a ring which is as special as she is. An engagement ring is that precious piece which will remain a part of your life forever. Hence, it is necessary to make a wise choice and get something which you will love to flaunt all your life. One will be confronted with myriads of beautiful options under engagement ring in a store. There will be a wide range of metals, colors, styles and designs to choose from apart from the stone cut/shape. GN Designer Jewellers have at their disposal innumerable engagement rings in every available option. On the verge of replacing the popularity of round brilliant and princess cut engagement rings is the cushion cut engagement rings. Endowed with a distinct look, this diamond cut is known for their large facets, chunky patterns, medium to large culets and small tables. The cut resembles a pillow, is either square or rectangular in shape and has rounded and soft corners. They are also identified as ‘candlelight diamond’. While cushion cut engagement ring is definitely an endearing choice, it all depends on your own personal preferences as to which type of engagement ring will best reflect your personality and make a style statement that is uniquely yours. Apart from the fact that GN Designer Jewellers can help you get an architecturally beautiful cushion cut engagement ring, it can also help you get an engagement ring of any other cut of your choice. Our more than 85 years of experience today, enables us to create a ring, which will make her fall in love with you all over again. Choosing an engagement ring is not limited to choosing just the gemstone. It includes choosing the metal, which greatly contributes to radiating the beauty of the gemstone. GN Designer Jewellers take pride in their sweeping collection of engagement rings in all types of metal. We understand the need to have a collection of engagement rings in different metals for our customers so that their choice is widened and they have ample scope to adjust their choice with their budget. The popularity of white gold engagement rings is at their peak. More and more customers are today in favor of the white gold due to the many benefits it possesses. White gold complements all types of gemstone and enhances their beauty when set. While GN Designer Jewellers have an impressive assortment of engagement rings in white gold, we can even custom design it as per your choice of setting. Of course, our collection also comprises of engagement rings in other metals like platinum, yellow gold, rose gold, palladium and the like. If you are looking for beautiful options under white gold engagement rings, the collection at GN Designer Jewellers will leave you awestruck. We have something to suit every budget and every taste. We will help you at every step of your diamond buying journey and ensure that you get exactly what you were looking for. If there is one place in Melbourne that keeps stock of a comprehensive collection of engagement rings, it is none other than GN Designer Jewellers. We are not just famous for our colossal collection, but have also made a name for ourselves in the department of custom made jewellery. Our collection comprises of engagement rings in metals like yellow gold, white gold, palladium, rose gold and above all the very stunning platinum. The options under platinum engagement rings are varied and if you are on the search for a beautiful piece, then GN Designer Jewellers is the right place for you. Platinum as we all know is the most sought after metal for an engagement ring. It not only bears an elegant and shiny color, but is durable, hypoallergenic and above all needs low maintenance. These endearing features account for its sheer popularity and beauty and this makes it only too obvious for people to fall in love with it. At GN Designer Jewellers we have platinum engagement rings in different gemstones, settings, patterns and above all prices. You are sure to get one that perfectly fits your budget and cater to your choice.  The experts at GN Designer Jewellers will always be at your disposal to help you and guide you in your shopping. We know our customers come to us with certain expectations and we do our very bit to live up to their expectations.